One of the simple pleasures in life has got to be Hainanese Chicken Rice. Many of my Friday Night Central Market ventures inevitably culminate in dinner at Ricky’s Chicken Rice. 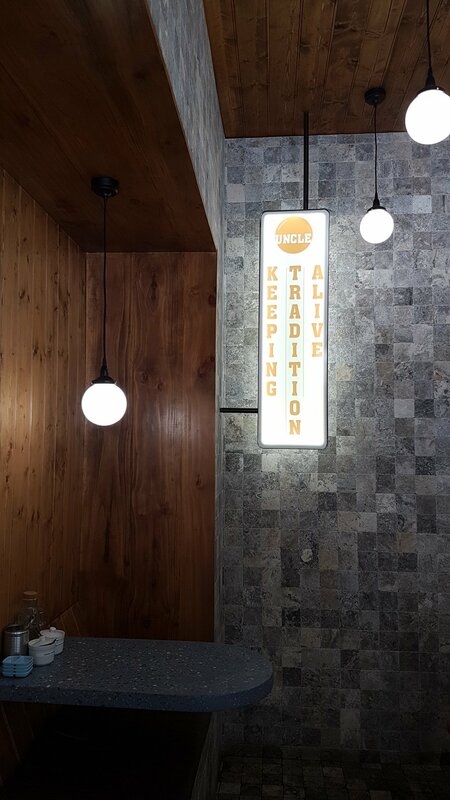 How so much flavor can be packed into two humble ingredients - steamed chicken and rice - continues to astound me; but not Jack Lim and Nick Wang – owners of newly-opened, single-dish outlet - Uncle. Site of the previously popular Smallfry Seafood, Lim and Wang have focused their new endeavor toward the lunchtime trade (perfect for its Waymouth Street locale). 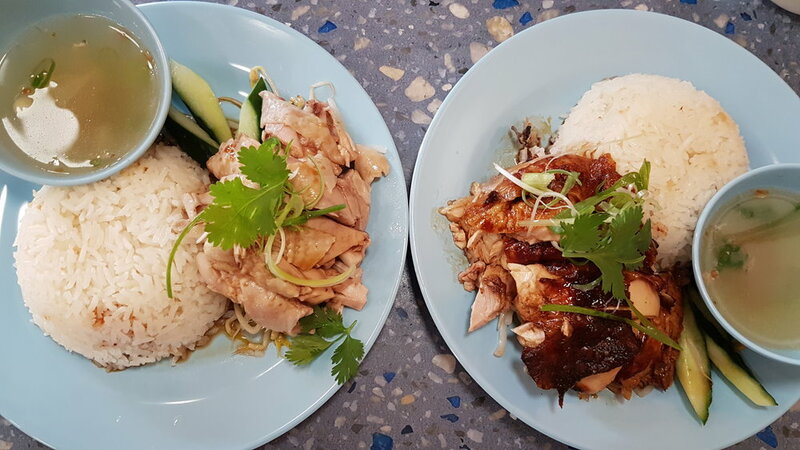 Supported by Malaysian chef Tee Ng, Uncle offers punters the choice between chicken and rice….or chicken and rice. That certainly makes lunchtime decisions a helluva lot easier, no? That being said, the chicken, prepared and cooked whole to retain moisture and that oh-so-delicious flavor, can be either poached (the authentic, “traditional” option), or deep-fried. Both selections are served on a bed of steamed rice (cooked in master stock produced from the chicken), bean sprouts, and a bowl of chicken broth. This recipe, passed down through Lim’s family, is also the inspiration behind the name. The co-owner’s uncle, who sadly passed a many years ago, was a well-known Malaysian hawker who specialized in, unsurprisingly, Hainanese Chicken Rice. Part of the establishment’s décor pays homage to the importance of family, and the origins of this increasingly popular dish. Lim’s uncle would definitely be proud and, may I say, our bellies are ever grateful. 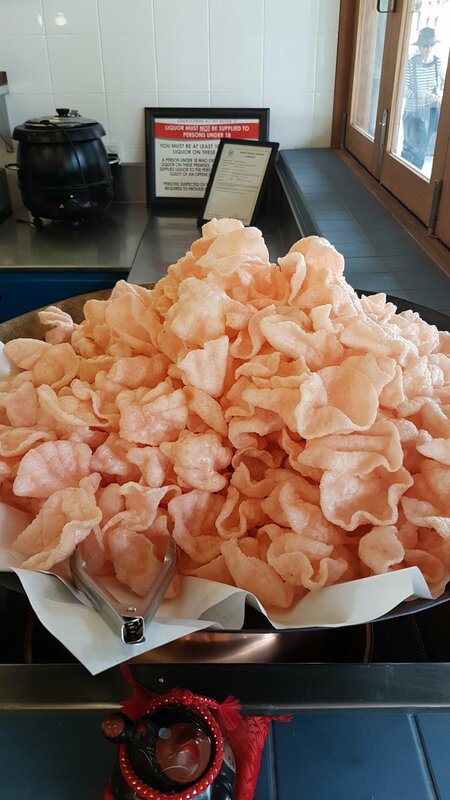 Though the process between ordering and eating takes all of a few minutes, you will still find time to dive into the appealingly large, help-yourself bowl of prawn crackers while you wait. 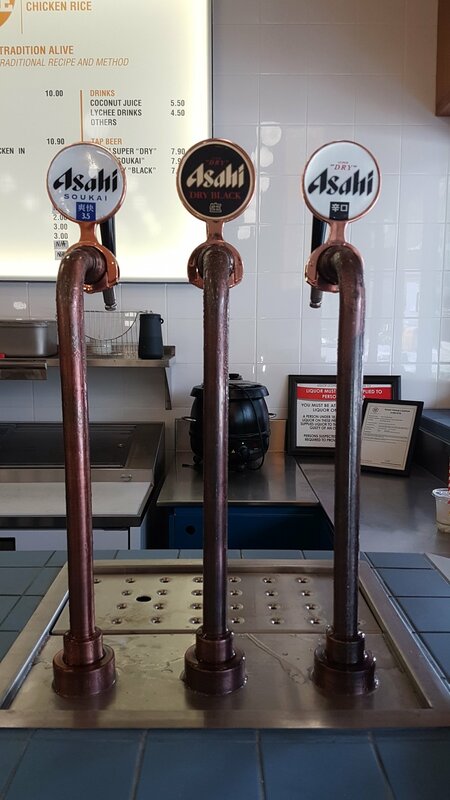 Or perhaps you’d rather quench your thirst with a glass of Asahi – the three iconic taps a remainder of their Smallfry days. Whether a quick lunchtime visit, or a casual Friday night dinner, Uncle’s ability to produce a dish so exquisitely enjoyable, from such modest ingredients simply proves that simplicity is the ultimate sophistication. Chicken and Rice – name a more iconic duo. We’ll wait. 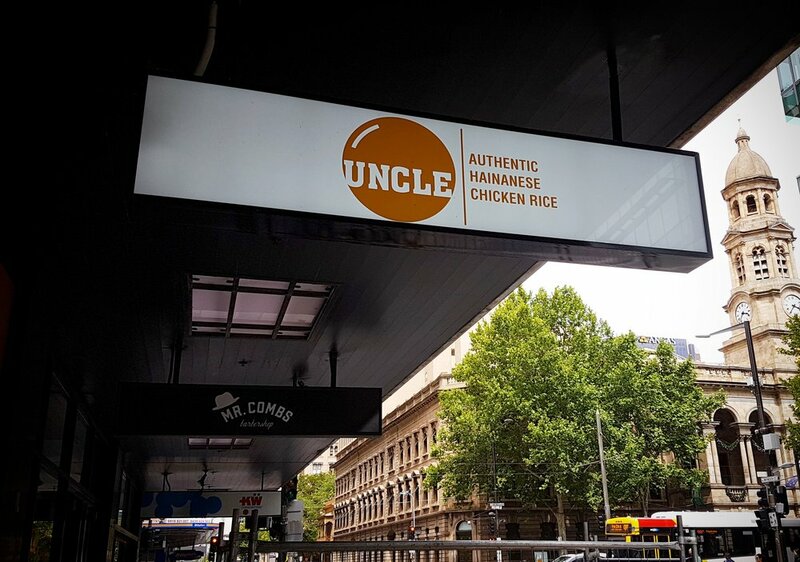 Uncle Authentic Hainanese Chicken Rice can be found at 4A/8 Waymouth Street, Adelaide 5000, trading 11 am to 3:30 pm Monday to Wednesday, and 11 am to 8:30 pm Thursday and Friday.